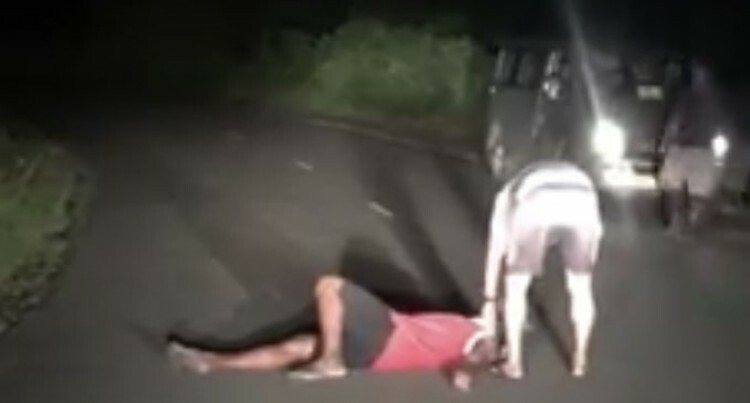 A drunk man lies sprawled on the Wainibokasi-Nasali Road. Be careful not to drink too much alcohol, especially during this festive season. It could save your life! Last week a man was found lying on Thurston Street in Suva in deep sleep. He was heavily intoxicated. Luckily for him, the Police found him, woke him up and took him home. and the first people on the scene thought he was dead. They woke him up and took him home in their van. In both cases they could have been run over by moving vehicles. They were very lucky. The next time they might not be so lucky. First, we commend the ‘Good Samaritans’ for their act of love in rescuing him. Hello, wrong place and irrelevant call. She needs to be reminded that she can’t make every situation a political issue. The fact is the court was full and many people including her were left standing outside. The media is grateful to the Commissioner of Police Brigadier- General Sitiveni Qiliho for his timely intervention yesterday. When reporters could not get into the Suva Courtroom in the election petition case because they were told it was full, one of them called him for help. Within a matter of minutes they were ushered into the court.